RE/COR Inc. is an independent, impartial, 3rd party Roof Inspection Company. and accessories? You really don't know. Would you like to know the true condition of your roof or the roof's probable life expectancy? Has your roof been damaged by recent Hail or Wind Storms? roofing materials or installation companies ~ so there is no conflict of interest. but the Roof to Wall Intersections, the above the roof slopes Exterior Wall Covering, and the Roof Penetrations. and/or has the roof covering received any damage from Hail and/or Wind Storms. Code Compliance Roof Inspections performed for various City and/or County Building Departments here in Colorado. We have the knowledge, the experience, the reputation, and the desire to solve your roofing problems. Since 1999 RE/COR Inc. has contracted our Roof Inspection Service to several Metro Denver City/County Building Departments as their sole or major residential and/or commercial roof inspector. We performed Code Compliance Inspections for all types of Roof Installations including concrete tile roofing, cedar shakes, asphalt shingles, and most flat roofing membranes plus many other alternative types of roofing materials. Some have used our company when hailstorms have damaged the roofs in their area. As a private contractor, we inspected most of the residential and commercial re-roof inspections for the City of Aurora, Colorado from February, 1999 through and until June, 2007 when new construction in the home building industry slowed due to the mortgage industry collapse and low City/County revenues. 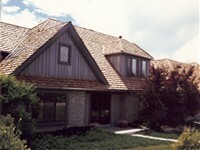 From May, 2005 until August, 2009 our company was contracted to inspect all the residential and commercial new roof construction and re-roof installations for the City of Greenwood Village, Colorado, again ending due to the slow down in new construction and low City/County revenues. Some of the other Colorado City and/or County Building Departments where we have performed some Code Compliance Roof Inspections for over the years are: City of Commerce City, City of Arvada, City and County of Denver, and Elbert County. We have also performed our Roof Inspection Service for Individual Property Owners, Homeowners Associations, Property Management Companies, Home Builders, Roofing Contractors, Insurance Companies, and Realtors ~ all to their satisfaction. Roof Inspection/Consulting Services to the Private Sector. Peace of Mind: All Roofing Contractors make mistakes, and more frequently than you would think. However, you could have Peace of Mind in knowing your roof is or will be installed with the appropriate materials and accessories if you use our Roof Inspection Service. Roofing Guidelines: They help both the Roofing Consumer and Roofing Contractor. When roofkey Roofing Guidelines are followed, the results are a good quality roof installation. Passing our roof inspection greatly reduces the chance of roof leaks or other roofing problems, callbacks and litigations, now and in the future. Expert Information: We provide expert information about roofing materials and accessories and their installation from years of experience. Tips: Throughout these web pages are many tips for Property Owners on how to choose Roofing Materials and Roofing Contractors and for Roofing Contractors there are tips on the installation of roofing materials and accessories, etc. Solutions: We can provide solutions to potential or existing roof or roof related problems. We can answer your questions about your roofing needs or any other roof related topics. - then this is the website for you. answers to your roofing questions and solutions to your roofing problems.